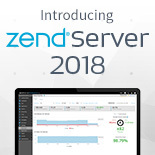 This version of Zend Server ships with a certified and secure PHP 7.1 stack, which also includes the largest amount of tested PHP extensions and libraries. 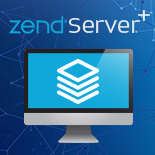 All of Zend Server features and components have been fine-tuned to make sure you can easily test your PHP 7.1 code on Zend Server. Still on PHP 5.x? You should upgrade to PHP 7.1 to benefit from extraordinary performance improvements. The Job Queue technology removes application bottlenecks and improves performance by allowing you to execute asynchronously the time-consuming jobs (e.g. credit card processing, printing, emails) apart from the user requests. With Job Queue Pulse you can better optimize, analyze, and fine tune the asynchronous and scheduled Jobs processing. It collects the analytical information and insights obtained by monitoring the entire Job Queue system and visually presents them. Job Queue Pulse enables better resource utilization and improves the end-user experience. This capability enables you to reproduce production issues while staying compliant with industry privacy standard. It prevents Zend Server from collecting data classified as personally identifiable information (PII), personal sensitive data, or commercially sensitive data. A set of rules can be defined to determine which data needs to be masked by the Zend Server troubleshooting components before it is stored or persisted. These rules affect all Zend Server deep data-collecting components, including Code Tracing, Monitoring, and Z-Ray. Improve your end-user experience with 100 percent uptime during application updates in production. The new "hot deployment" option in Zend Server Deployment allows a full update of applications without any web server restart. Are you rolling rapid updates of your applications? You can now deploy a lot more frequently without the downside of web server downtime. Zend Server on IBM i is bundled with the new Zend DBi (MariaDB). Zend DBi is part of the enterprise-ready PHP technology stack for IBM i, which allows you to leverage open and industry-standard solutions, while keeping your web and mobile workloads on existing IBM i systems where databases, business logic, and legacy applications reside. 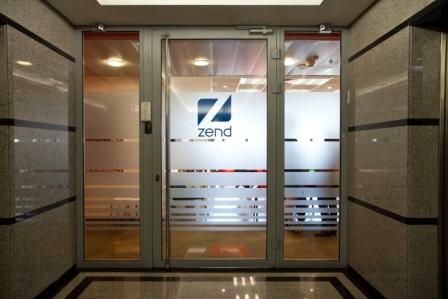 The Zend Server user interface features an extensibility API, allowing you to add additional screens that help you manage your web deployment. The API is fully documented, with both a plugin and samples to get you started.